Hi loves! 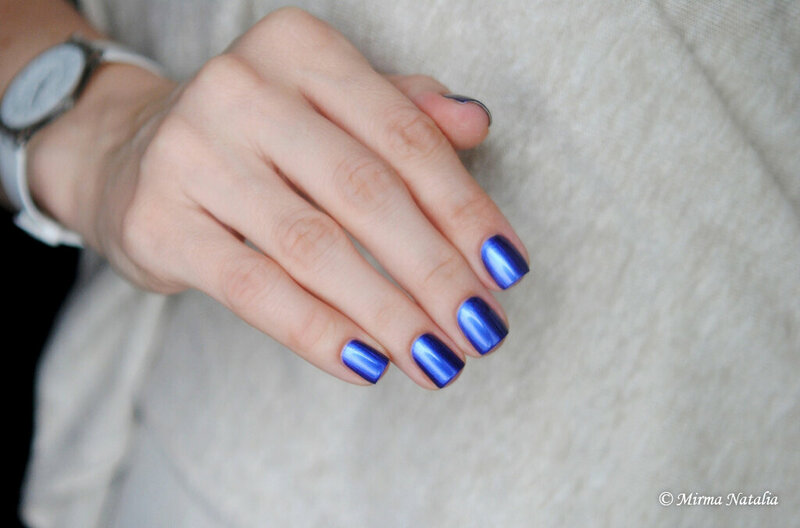 Today is a special day as I have a gorgeous guestpost from Natalia, seriously this girl had the most perfect nails and hands and I just adore her blog, so I was very happy she wanted to guestpost! Enjoy, and don't forget to check her own blog before you leave ;-). Hello lovely readers of Love, Varnish, Chocolate and More...! I'm Natalia from Mirma Natalia and I'm so happy to be guest posting here today. 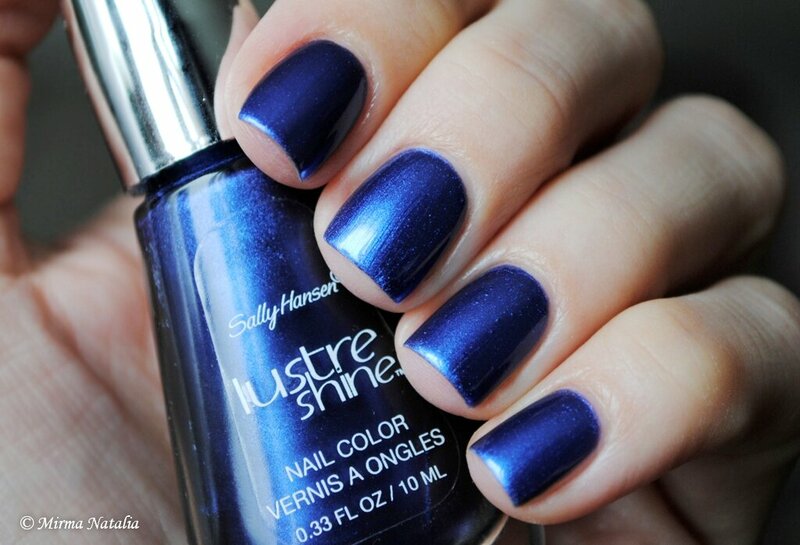 I've prepared for you swatches Sally Hansen Lustre Shine 004 Azure and little comparison. 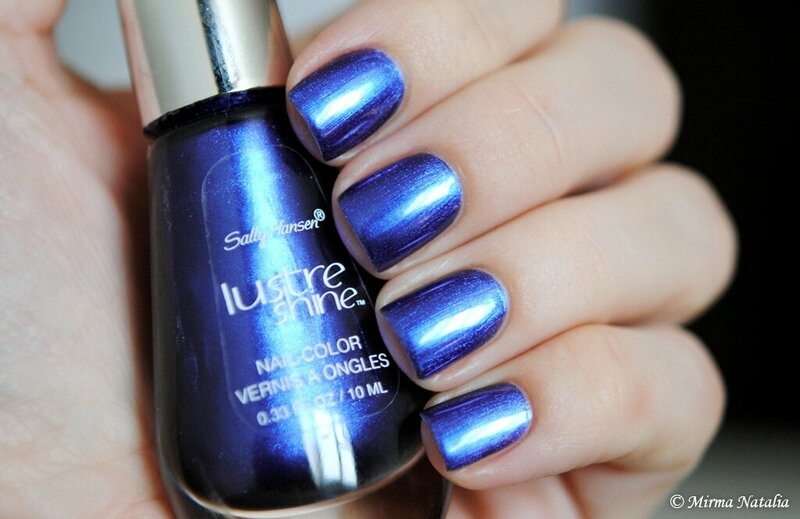 SH Azure is a beautiful blue & purple slight duochrome shimmer. The formula was great, but thin and I needed three coats to make it opaque. 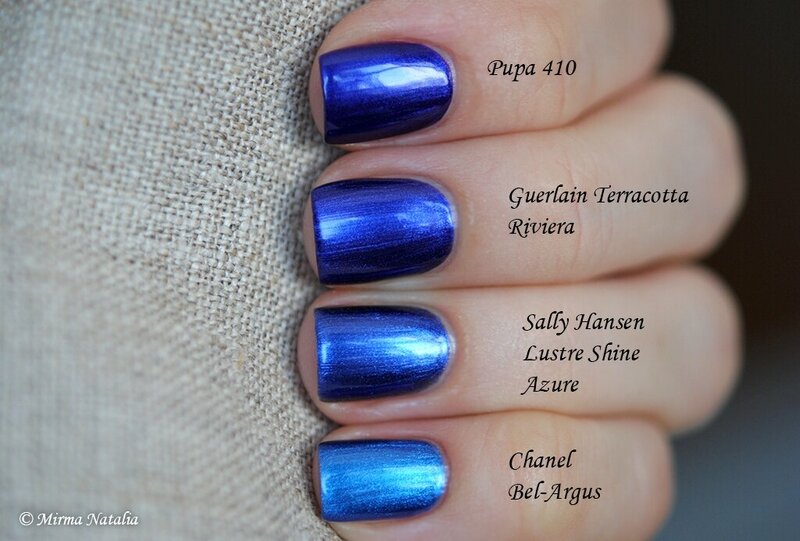 Pupa and Guerlain are darker than SH Azure and they have more purple tone. Chanel lighter and has another blue color. Thanks so much to Deborah for this opportunity and I hope you enjoyed looking at photos! Lovely blue!! And great comparison. Such beautiful nails! Mirma Natalia's page has such amazing posts! Love that she is featured here. 2 of my fave blogs together! I hope more folks will discover her through this. Her blog is not to be missed- in this comparison she makes drugstore polish look better than Chanel?!?!! Go check her out, everyone! Natalia's blog is one of my favs! I just adore her nails and posts- always so perfect!